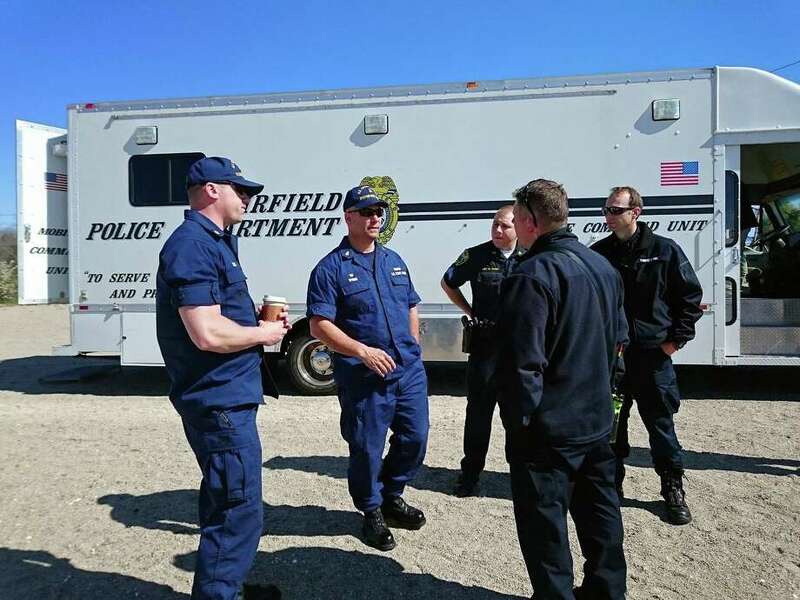 Personnel from Fairfield, Bridgeport, Norwalk, Milford, Stamford and the Coast Guard, converged off of Jennings Beach Wednesday in a practice drill, looking for two missing kayakers. FAIRFIELD — The call came in just after 9 a.m. Wednesday. An overturned kayak was discovered floating off Jennings Beach and two kayakers were missing. Within minutes, PB 1, the Police Department’s vessel, was on the move, headed to the scene from South Benson Marina. It was soon joined by the Fire Department’s rescue boat, and then teams from Westport, Bridgeport, Norwalk, Stratford and the Coast Guard. Thankfully, however, it was just a drill, to get emergency personnel from along the shoreline ready for the summer, and the myriad of incidents that might arise. That way, Paris said, when a real emergency takes place, search-and-rescue operations should run smoothly. “At the time of an emergency, we know what works best in certain situationsm,” he said. Emergency personnel searched for the “missing” kayakers, taking into consideration wind speed and direction, checking areas where the kayakers may have drifted, Paris said. The Norwalk dive team was on hand, though Paris said they would not actually be going in the water. “It’s all just a simulation,” he said.